Detective Richard Fell is transferred over the bridge from the big city to Snowtown, a feral district whose police roster numbers three-and-a-half people (one detective has no legs). Dumped in this collapsing urban trashzone, Richard Fell is starting all over again. In a place where nothing seems to make any sense, Fell clings to the one thing he knows to be true: Everybodys hiding something. Even him. 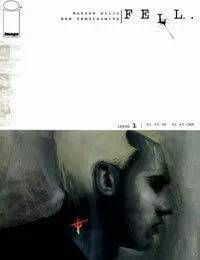 FELL is a new series by WARREN ELLIS (TRANSMETROPOLITAN, PLANETARY) and BEN TEMPLESMITH (30 DAYS OF NIGHT), about murder, love, strangeness, and what people hide.<br />Detective Richard Fell has just transfered to Snowtown and he is instantly thrown into a homicide investigation. He meets Mayko, the proprietor of a local bar, who gives him his first lesson in what Snowtown is really like.